Fronto App Review: Is Fronto App Scam or Legit? These days Smartphone’s have become a necessity in every person’s life and nowadays it is even helping people to earn money. Your research for Fronto app has found its way. You people might be wondering that how can someone earn money just by viewing contents and ads and for such a reason you are here. If you want to know that Fronto app is worth working on or just a sheer waste of time then we recommend you to read the detailed article. Fronto app was founded by Kelly McGrath, and Luke Ahn in November 2012. Fronto app is a mobile application which is designed for Android Smartphone’s. Unfortunately, the app is not available for iOS device users, therefore it limits to the number of the users. This is a lock screen app where you will be rewarded for unlocking your phone. Since the Fronto app is a lock screen app, it will be featuring the contents and ads of the advertisers and businesses. If you swipe left you can take a glimpse of contents and ads, and if you swipe right you will be taken to the home screen of your devise. You don’t need to fill out the surveys, watch videos etc but just need to unlock your mobile phones to earn money. You will be paid both ways, if you swipe right or left but by viewing the contents and ads on left side you will be able to earn more. How does Fronto app works? Download the app = For working on Fronto app, you need to have a Android device as it is not available on iOS. You can download the app from the app store for free. You can register by using Facebook or your email. Fill your profile = In order to earn money you need to fill out your profile which includes your payment details. Start unlocking your device = Once you join, the app will start showing ads and content , which you have the option to view it or not. How to earn from Fronto app? The app provides you a platform where you can earn by various ways. The best way to earn money is by unlocking your phone. Once you unlock your phone all you need is to swipe left or right, on left side you will see ads , which will have an option to view it or not. You will be credited in both the ways. The company pays you in point. Fronto app pays you 30 points if you choose to view the ads and 20 points if you wish to visit homepage. Fronto app also provides you an opportunity to earn more by referring your friends. If your friend joins the app by using your referral code, then you and your referred friends earns 2000 points. To reach the minimum pay out limit, you can also try to play scratch and match game. You will be viewed 16 second ad, and then Fronto will ask you to scratch a picture and luckily if there are three same images on the picture then you win a prize. The points you earn can be redeemed in various ways like cash which will be paid via PayPal and gift cards like Amazon, Wal-Mart, Google play, etc. therefore the minimum payout amount is $5 which will require 3375 points and that will take a bit longer time and the gift cards start from $5 – $10 depending on the gift card you select. Earning money on Fronto app is not a difficult task. You just need to make your phone wakeup and that is a trick to earn money on this app. Therefore it’s not hard to earn money, the moment you fill out your profile you are ready to earn points. It’s absolutely free to join and work on this app. You do not need to pay a registration fee or monthly membership fee. The best thing about Fronto app is that you can earn points by other ways than unlocking your phone. But the points earned by unlocking the device is small thus having various options to earn and reach your target are more. 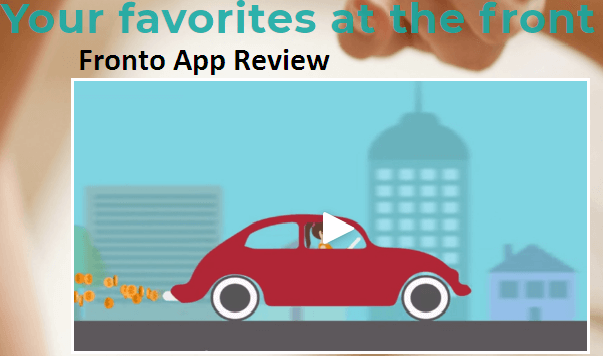 The Fronto app assures to redeem the points even in cash. Though getting gift cards as a payment method is not bad, but cash is still the best way to be paid. You can not totally rely on this application to earn a respectable living as it won’t be making any financial differences anyway. The points barely get collected and it will take around 1-2 months to reach the minimum cash out limit. As it’s very clear that Fronto app is not yet so popular. Therefore you will not be paid for every ad you view. There are some ads which are just filled in and not from some advertisers. Because of this you will not get reward for every ad they show. The app is not available for iOS users. Thus, it means that there will be a limited amount of people who can be referred. Is Fronto app Scam or Legit? Based on our research Fronto app is not a scam. It’s a 100% legit app and has a unique idea of making people earn some extra bucks. It’s a great opportunity to earn money just by simply unlocking your phone. As the company doesn’t promise that it will pay every time you unlock your phone. Thus, it’s should not be expected that you can earn points every time single time you unlock your mobile device. Do we recommend Fronto app ? If you wish to make a decent amount of money to pay off your mortgage or rent then this app is absolutely not for you. The app is not so popular among the advertisers, therefore every ad will not fetch you points and to reach the goal of minimum pay out that is $5 will take a lot of time. Therefore please feel free to mention your queries and doubts in the comment section below. We would be glad to help you out.